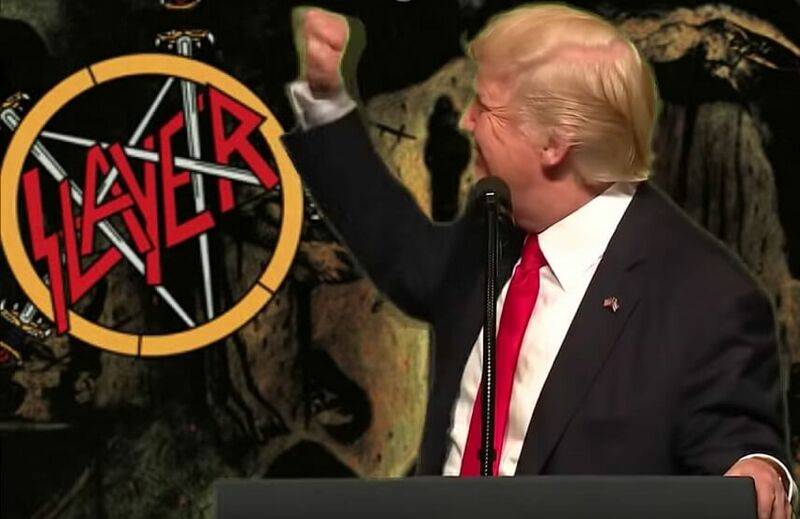 Watch Donald Trump “singing” Slayer's "Raining Blood"
The Youtube channel Lars Von Retriever made a funny video that takes pieces of Donald Trump’s speeches and put them together as he was singing the classic Slayer song “Raining Blood”. “Raining Blood” it is the tenth song in the band’s 1986 album Reign in Blood. 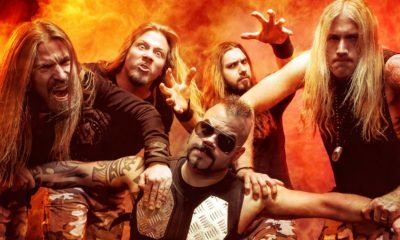 Written by Jeff Hanneman and Kerry King, the concept deals with religion, specifically said to be about overthrowing Heaven. The song is one of three tracks on Reign in Blood longer than three minutes, at four minutes and fourteen seconds. It ends with a minute of rain sound effects. Described as a “classic” by Allmusic, it is noted by fans as one of Slayer’s most popular songs. 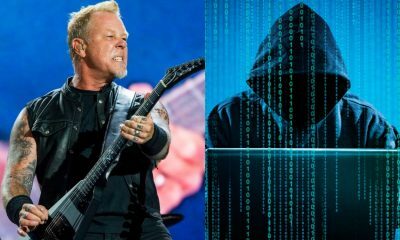 As an almost permanent addition to their live sets, both Hanneman and King acknowledged it as their favorite song to play live. 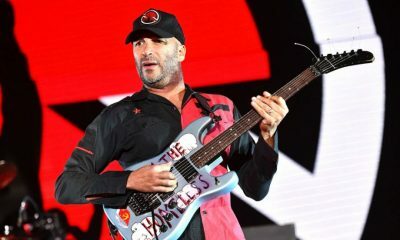 There have been many appearances of the song in the media and elsewhere, including the South Park episode “Die Hippie, Die”, video games Grand Theft Auto: Vice City and Guitar Hero III: Legends of Rock, said to be one of the hardest songs in the latter’s Career Mode setlist. There is also a live appearance of the song in the compilation albums Headbangers Ball and Hard N’ Heavy Vol. 61.